Another one! stop the madness!! 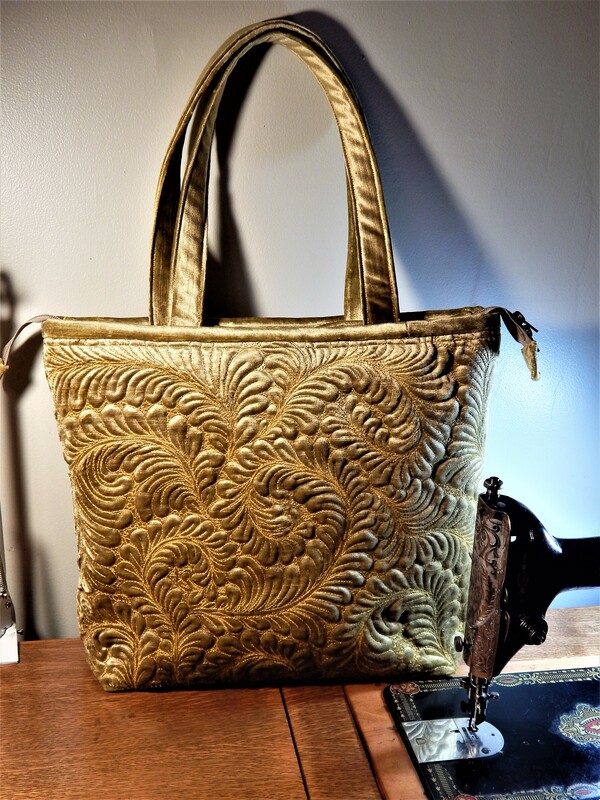 I can’t help buying them when I love them and they are a good deal!….but It does seem like I must be crazy sometimes…..but in a good way. 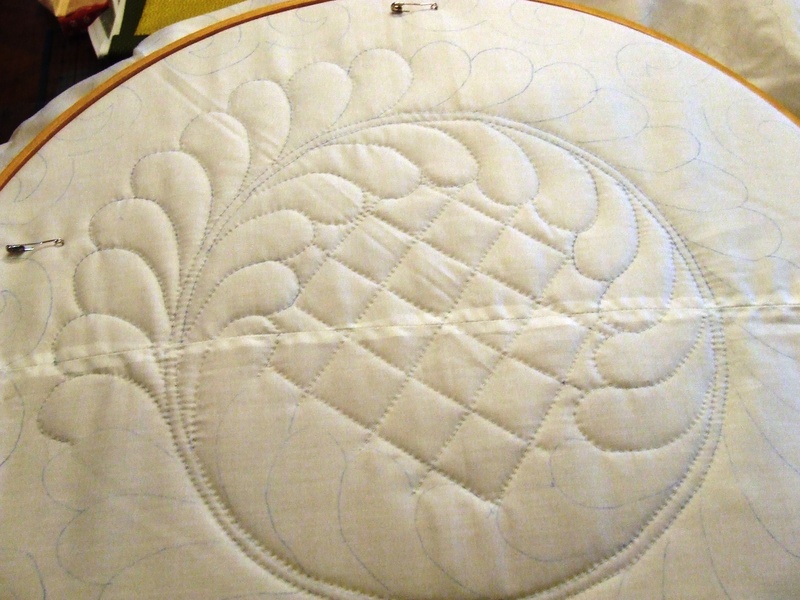 The top is all hand pieced and in great condition (needs to be pressed) I would say 60’s fabrics. 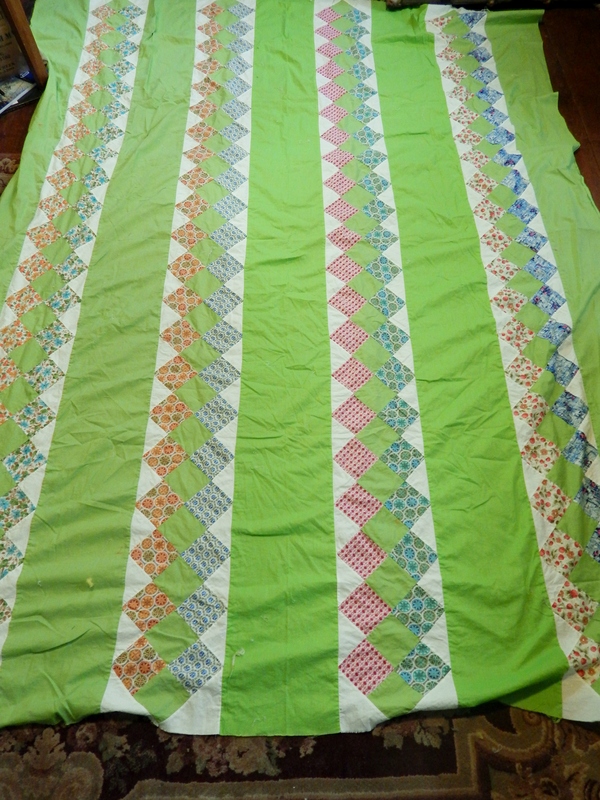 And look at all the fun hand quilting space in those green strips!….this is going to be a fun project! Each strip has different fabrics. Teddy says “it sits well” that is his way of saying it is pretty flat. Since Teddy is such a popular little guy I thought I would make a video of his inspecting job…..unfortunately he just wanted to look at the camera! 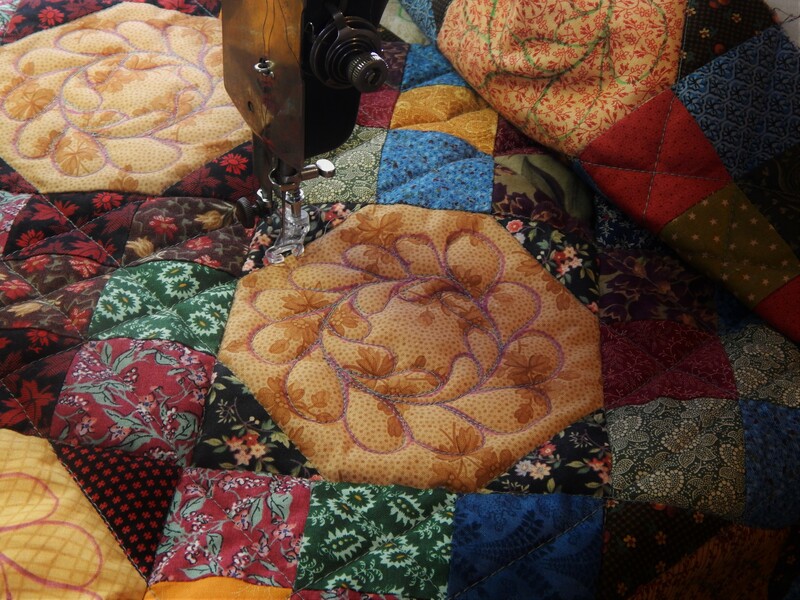 This entry was posted in Quilts and tagged hand quilting, Quilting, Quilts, vintage quilt top. that sounds just like him! I totally understand your passion! Besides – you have to keep sweet Teddy busy with inspections! They all want tender loving care, and found you Tim, knowing they will receive it in your heart and home! I love the colors, beach house perfect in my book! now that you mention it I do see it as a perfect beach house quilt! Oh, Yeah!!!! Go Teddy! Go Teddy! more videos!!! Well, I can see he knows his good angles — upward, straight on, and head turned left in profile. But he can add to his portfolio. So pretty!!!! But you know me…I think lime is a neutral. Love Teddy! He’s a good boy!! I LOVE that quilt top too Tim! What type of motif would you add to a quilt like this? A cable or feathers? Teddy was just thinking hard – part of an inspector’s job. This quilt looks summery to me. Lime as a neutral! it sure does look summery….perhaps that is what drew me to it after a long winter!! the colors are what got me! SUPER GREEN looks good. I am inspired by what colors quilters put together. me too!…I would have a hard time being brave enough to go with such a bright green! I just think Teddy is so cute! Where do you find these quilt beauties? 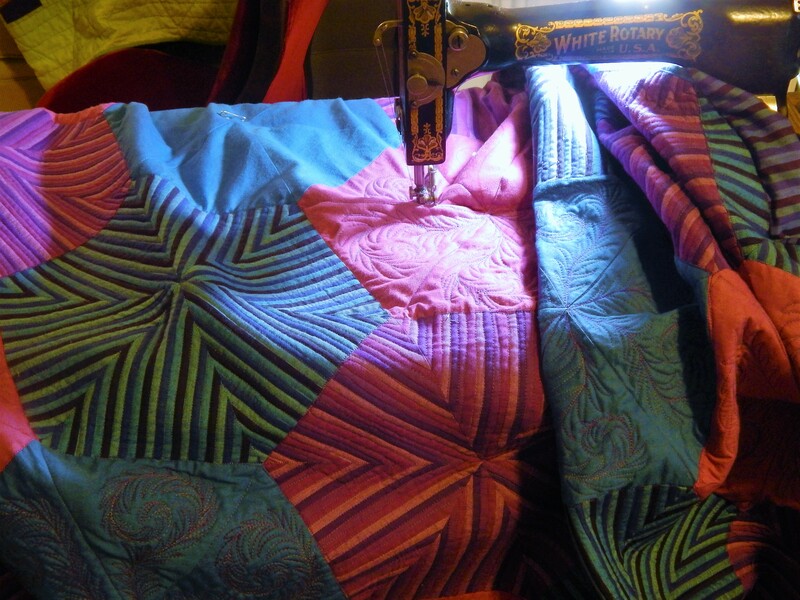 I love to hand quilt but do not like to piece them. Love the green in this, and you’re right it will be fun to quilt those strips. Teddy looks good on green, and he does require a fresh supply of tops for his inspection. So I don’t see how you can stop even if you wanted to.